How has your day been? I am quite excited to share today's tutorial with you because it's a little different, compared to my usual tutorials. 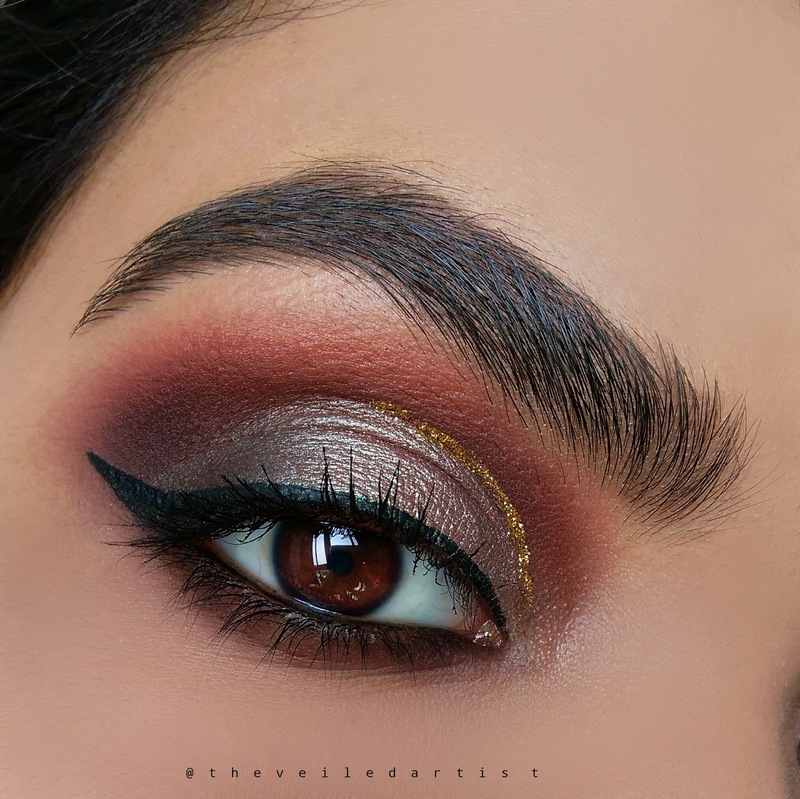 I have completely fallen in love with cut crease looks recently and so today it's going to be a tutorial on this gorgeous cool/duotoned glitter cut crease look! So let's get started! 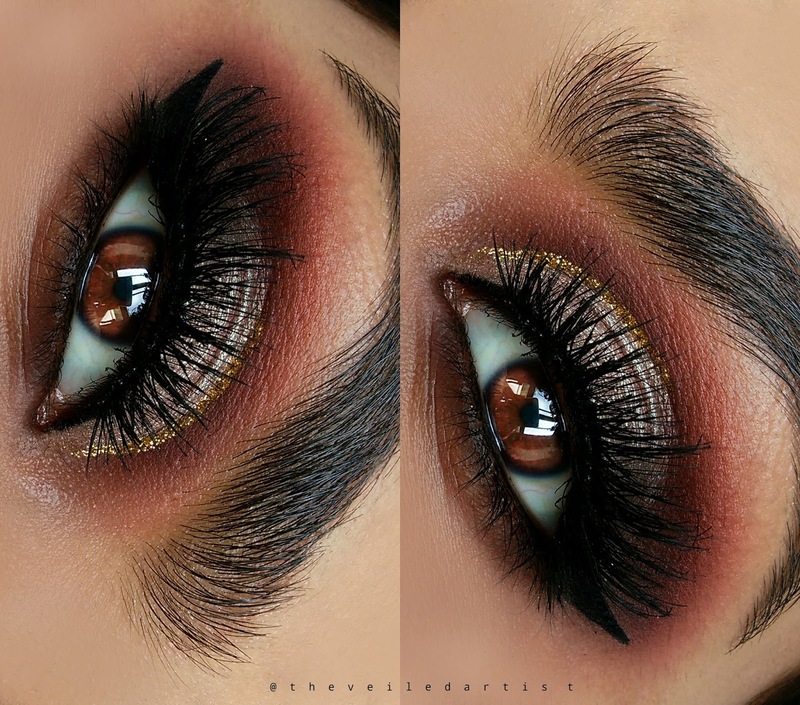 After priming your eyelids, blend the warm matte brown eyeshadow into your crease and a little above it. 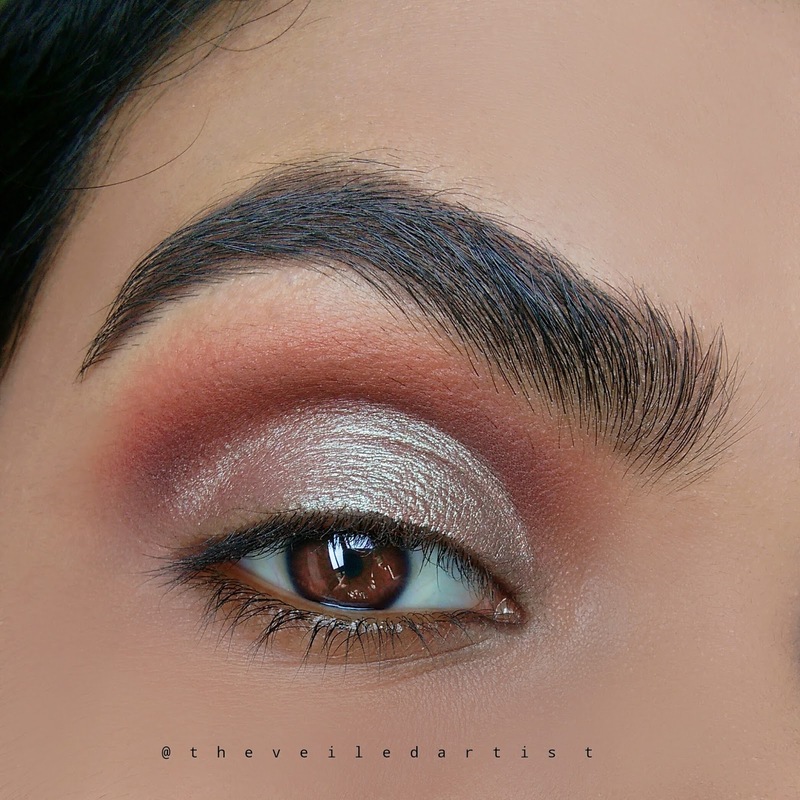 Now blend the deep taupe shadow over the brown we just used but keep this taupe shade strictly in the crease and only blend the top edges out slightly. 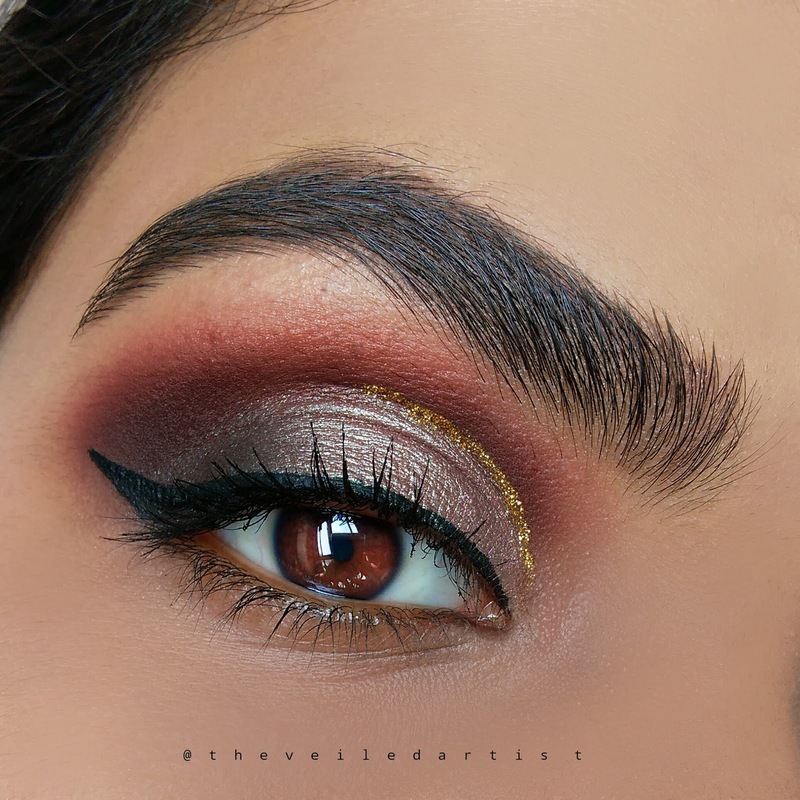 Apply the shimmery silver shadow onto your mobile eyelids creating a half moon shape in your crease. 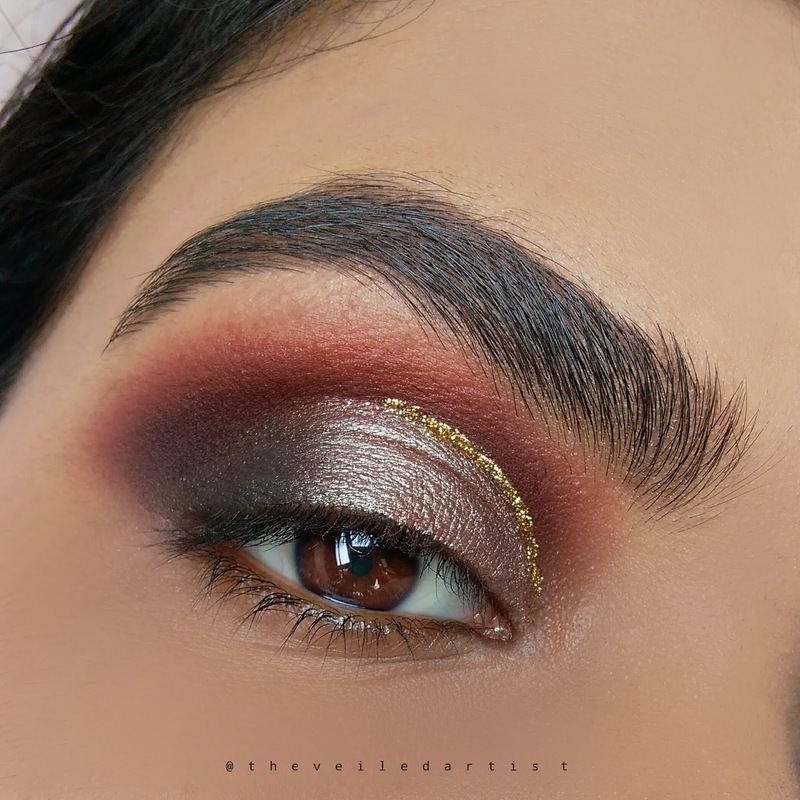 You can use a wet brush to apply this shimmery shadow for added shine as well as control when you're trying to create a precise cut crease line. 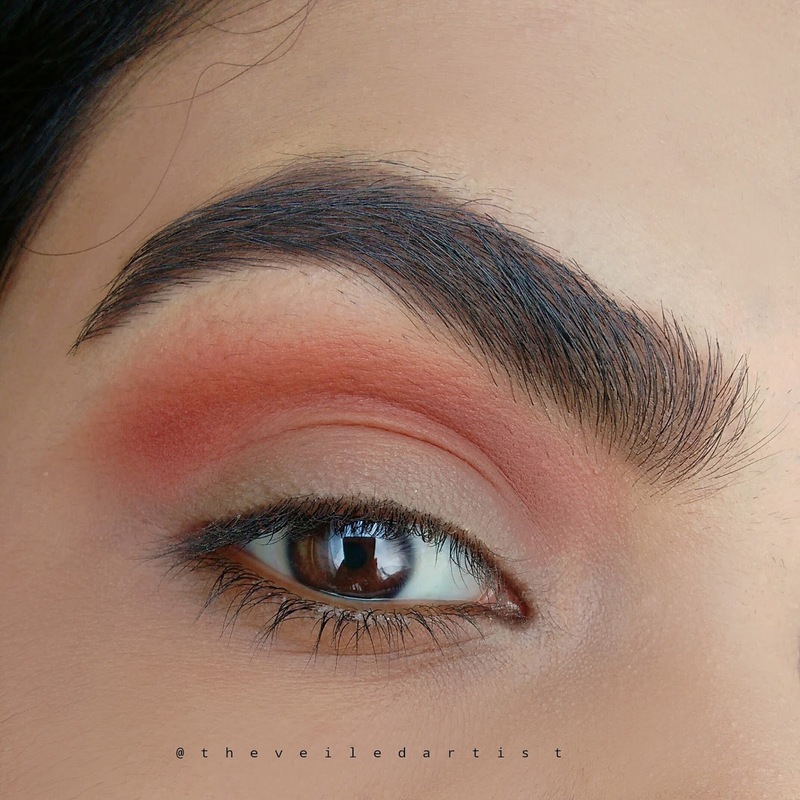 I used a gorgeous duo toned Morphe single shadow called Linger. 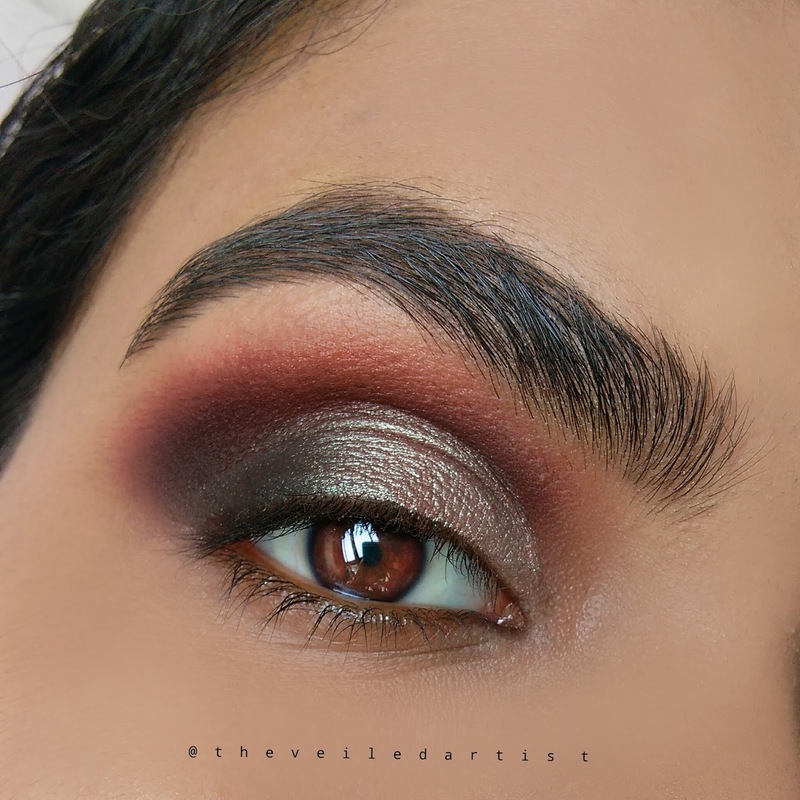 Blend the matte black eyeshadow into the outer half of your eyelids in a C shape and also blend it into the shimmery shadow we previously applied. 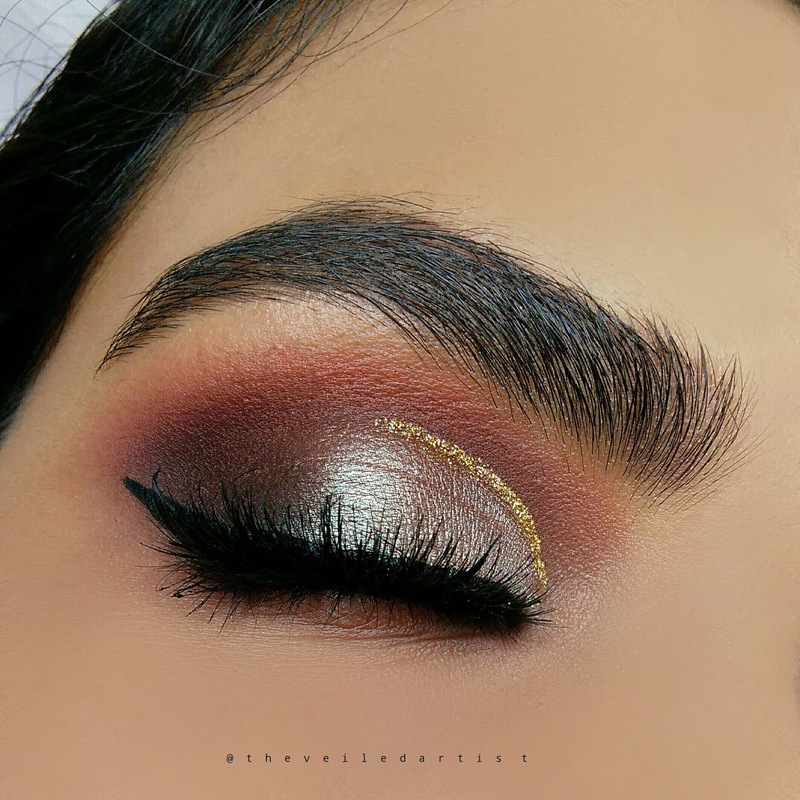 Using a gold glitter liner draw a line in the inner half of your eyes, right where we cut the crease with the shimmer shadow as shown below. You can even use loose glitter for this step. Just draw the line using your glitter glue and pick the glitter up on a precise brush and build it up in the crease. Now, do your winged liner, curl your lashes and apply mascara! 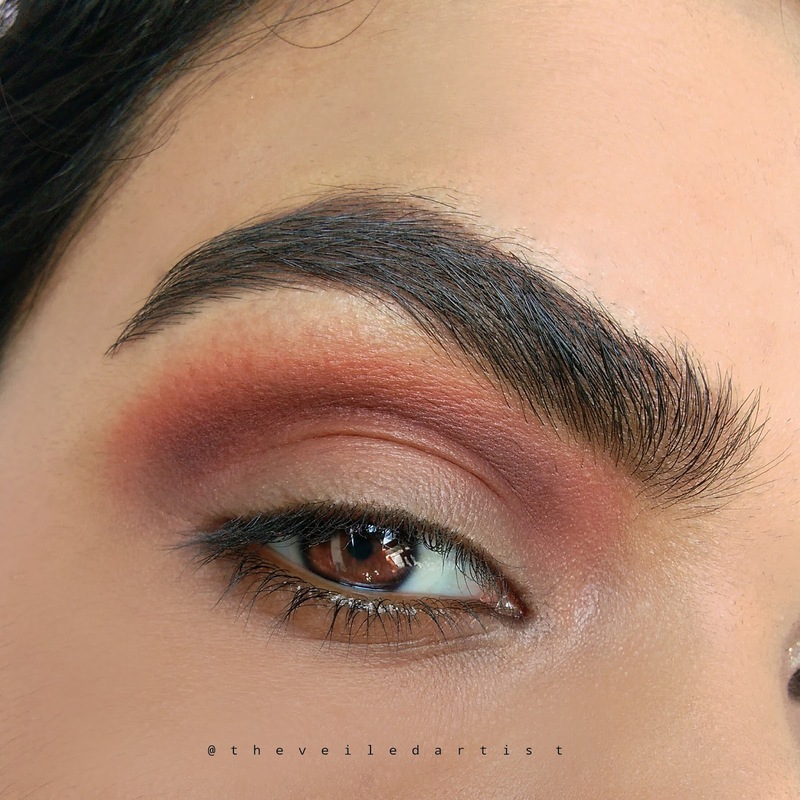 Blend the same warm matte brown eyeshadow we used in the crease in Step 1, all along your lower lashline. Next, heavily apply a black pencil liner on your lower waterline and blend it into the brown we previously applied. Final step! 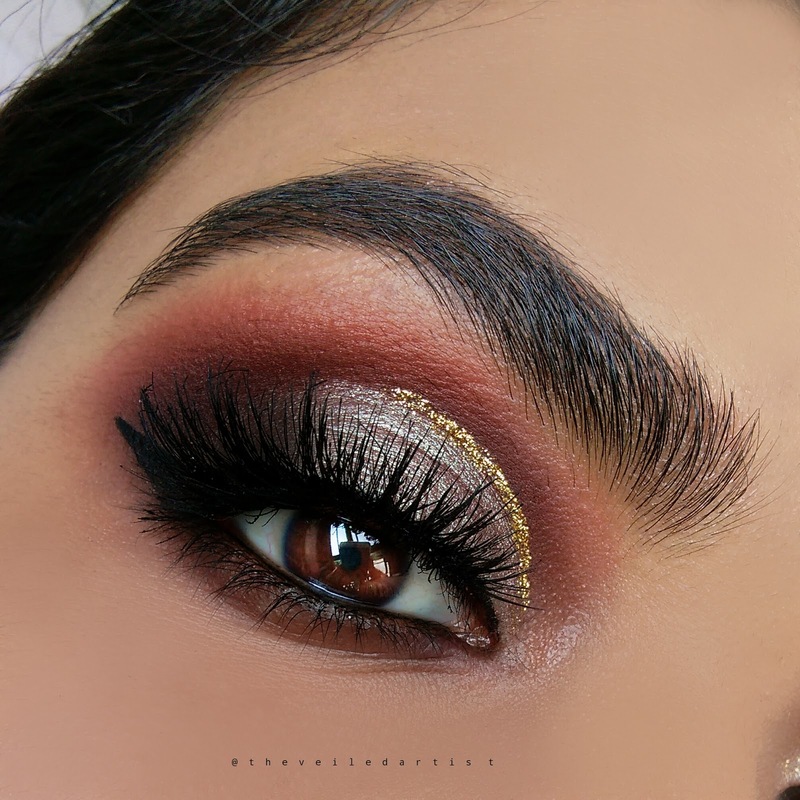 Pop on a gorgeous pair of fluffy falsies and you're done loves! 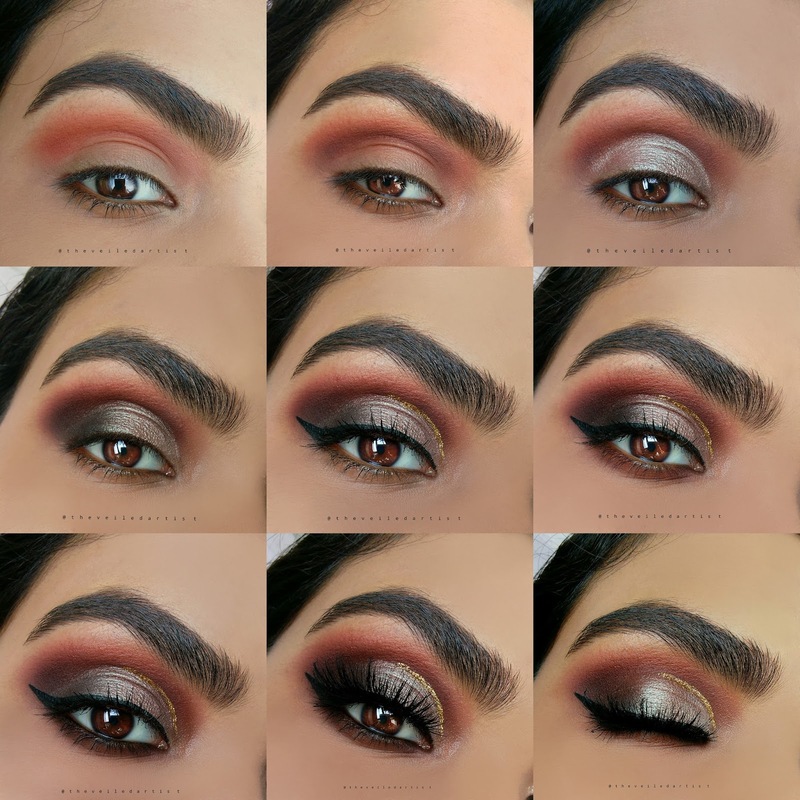 Scroll down for the full products used list, pictorial and extra shots of the look! Thank you so much for reading my loves! 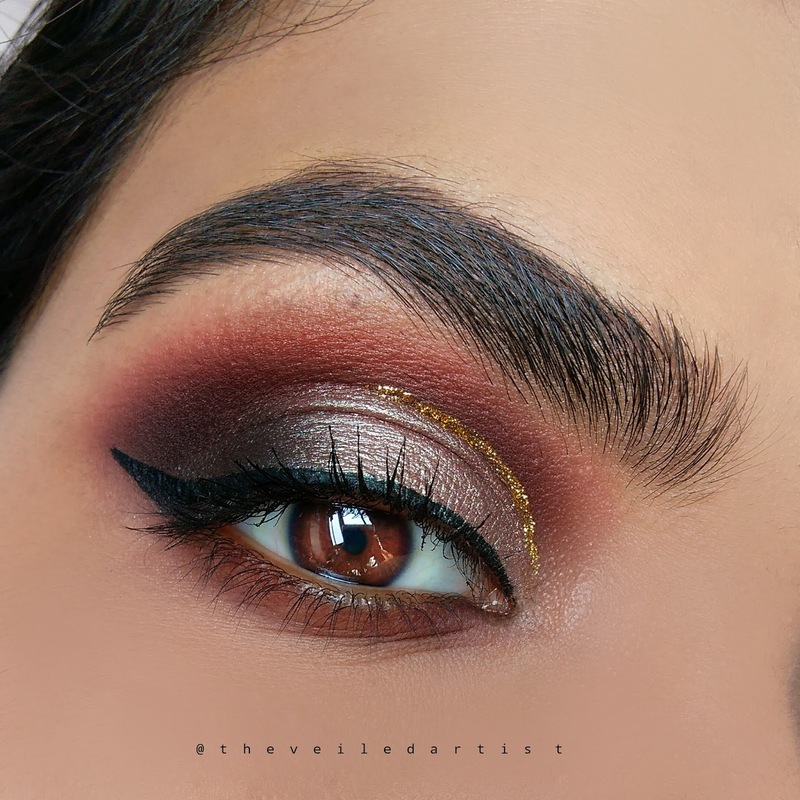 I have to say, the only thing better than a cut crease look is a GLITTER CUT CREASE haha! I really hope you enjoyed today's tutorial! You can check my last post here. It was a quick beautybay skincare haul and my last tutorial here. 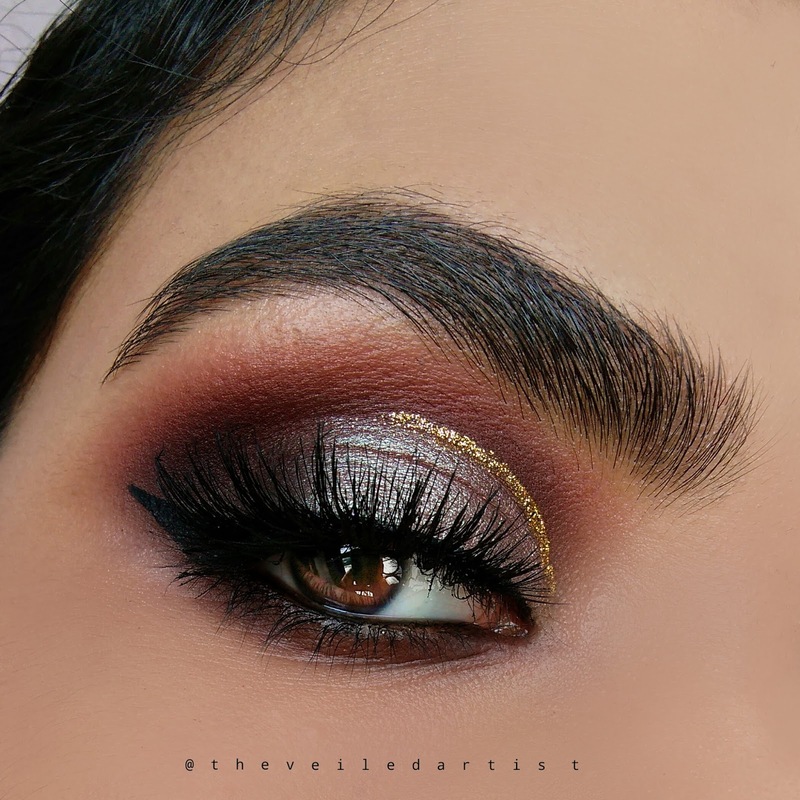 It was on a Classic Glittery Holiday Party look.